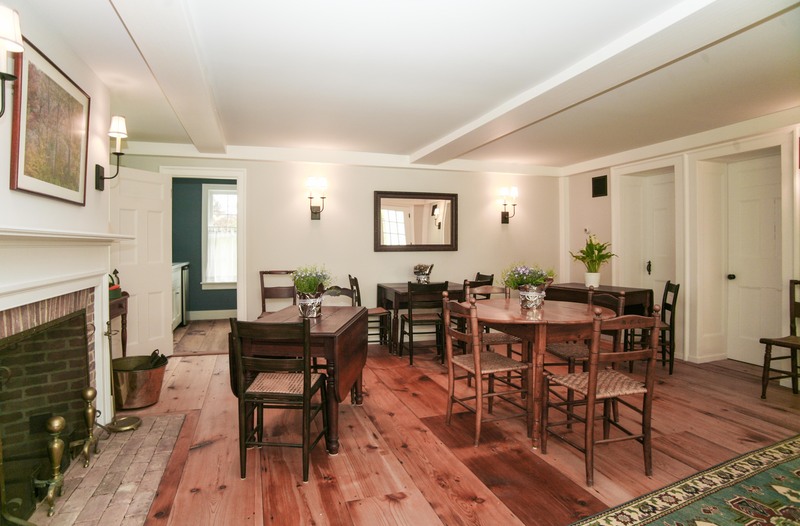 The New Concord Bed & Breakfast offers charming, comfortable accommodations in a relaxed country setting in New York’s Columbia County. Located in East Chatham, NY, in the heart of the New Concord Historic District, our newly renovated B&B has four deluxe guest rooms, all with private en-suite bathrooms. Learn more about our rooms here. We are conveniently located right off theTaconic State Parkway and Interstate-90. You’ll find the village of Chatham, New York just about five minutes away and Hudson, New York is a twenty-minute drive. In Hudson you’ll find the Amtrak train and countless antique stores and gourmet fare. The Berkshires (including the BSO’s summer home, Tanglewood) are twenty minutes in the other direction, giving you access to the culture, music, arts and activities of this lively region. We pride ourselves on our delicious full breakfasts, which are included for every guest. Innkeeper Nancy loves serving up a nutritious and tasty breakfast every day using local foods, whenever possible. Most mornings she offers up a choice of an egg-based selection, a pancake/French toast variation and/or a hot or cold cereal selection, depending on the season. Please let us know in advance if anyone in your party has any food allergies or preferences. 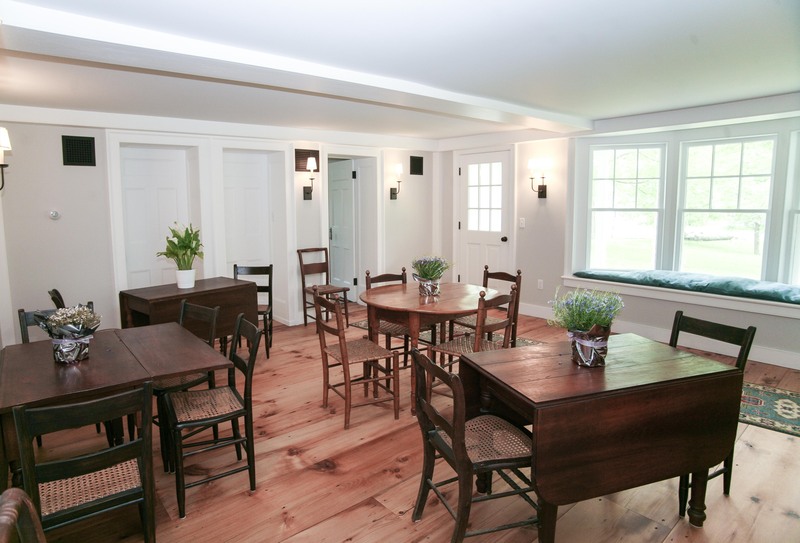 A Guest Kitchen is attached to the Breakfast Room and you are welcome to store any food or drink here. In addition to the Breakfast Room, these common areas are available to all guests. Our Foyer & Greeting Room is where you enter and check into the B&B. Located next to the Breakfast Room. Note you enter the B&B from a side door—follow the path from the parking lot in the rear. We’ve designed our ground floor Parlor to welcome you to spend some downtime. Read local magazines, check out brochures for attractions and events. You can watch our flat-screen TV with a full range of satellite TV channels (you won’t have to miss any football games!). 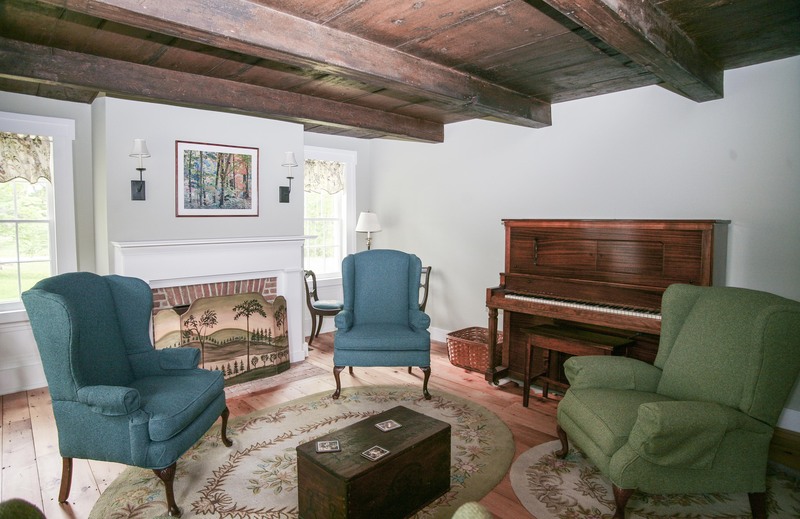 Nancy has installed her antique player piano in the Parlor and if you ask nicely, she’ll play a song or two. 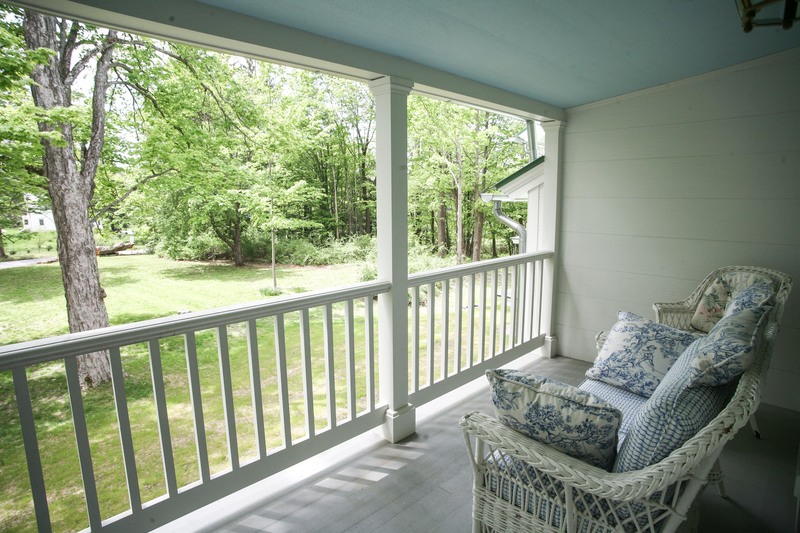 Our second floor porch is an ideal place to sit, relax, and enjoy the beautiful country view. Watch the changing seasons and foliage at our historic crossroads. You can almost imagine the stagecoach pulling up to The Publick House. Our location is at the crossroads of New Concord Road, County Route 9 and Eliot Road in New Concord, which is a historic hamlet which actually straddles two towns—Chatham and Canaan, New York. In warm weather, you can sit out on our lawn and watch our town green. Ready for a walk? The unpaved Eliot Road provides a scenic walk and if you walk North on County Route 9 you’ll come to our local cemetery with stones dating from 1700s. 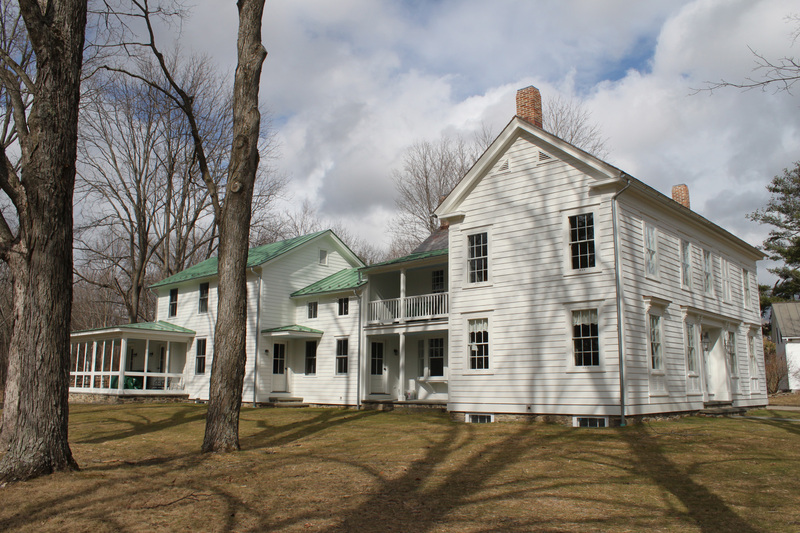 The opposite direction (South) on County Route 9 brings you to the community meetinghouse (if you’re lucky you’ll be here during one of our events like our holiday potluck and Christmas Caroling or movie night) and further down, you can buy fresh eggs from the farm. New Concord Road heading East brings you to farms and fields with cows and horses and some beautiful vistas.